20 June 2015. 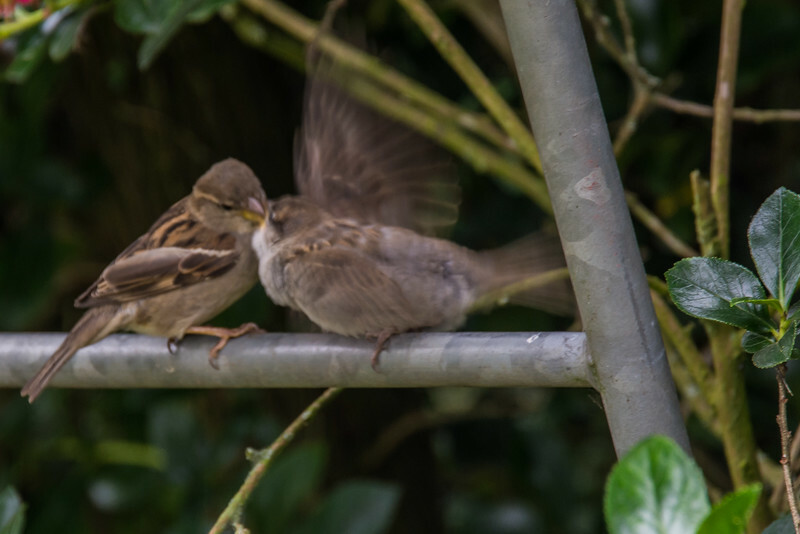 The garden becomes a nursery for many fledglings sparrows. The adults have to teach the young where to get food and, most importantly, feed them!